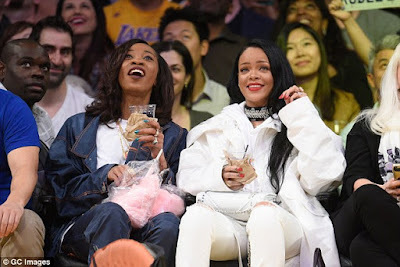 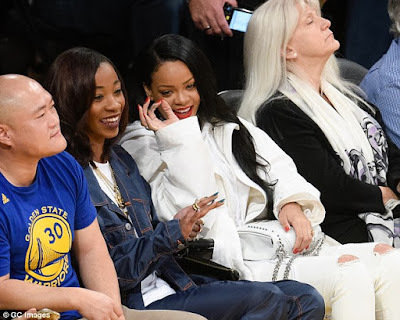 Rihanna was seen at the Staples Center to watch the game between LA Lakers and the Golden State Warriors in an all white ensemble. 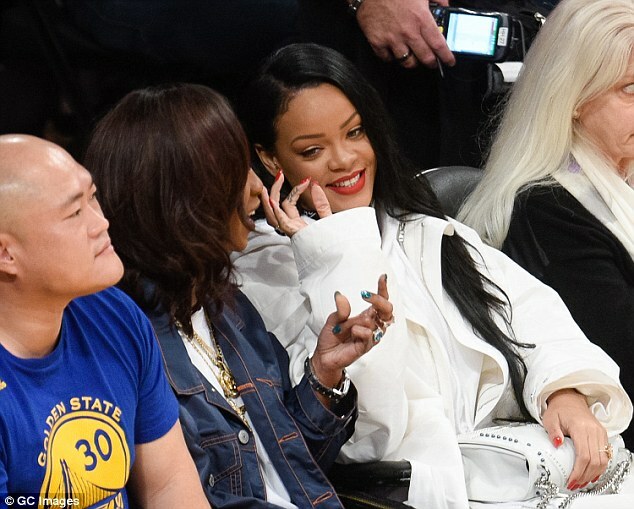 She was seen enjoying herself with a gal pal during the game. 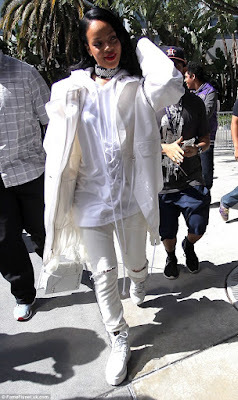 More photos below…..
Swizz Beats snaps a photo with his new son taking shower.